We'll have to wait 15 years to see if Kingston and Zuma Rossdale excel to mom's 'Hollaback Girl' success, but we already know that the gene pool has been good to Benjamin Taylor. Taylor, the son of pop-folk icons James Taylor and Carly Simon, has proven his own singer-songwriting chops on a string of indie recordings, including his 2003 debut Famous Among the Barns and 2005's Another Run Around the Sun. His newest offering, The Legend of Kung Folk Part 1 (The Killing Bite), clearly fits into his impressive resume of handcrafted, organic, and mellow-good tunes. He'll introduce Seattle fans to tracks from his latest album when he opens for John Hiatt at the Moore Theatre on Sunday, November 16. Tickets at www.theparamount.com. Before Taylor goes onstage he'll talk to Seattle Gay News about his reaction to last week's presidential election, the disappointing defeat of Proposition 8 in California, and update us on his music diva/cancer survivor mom. Grab a copy of Seattle Gay News on November 14 to get familiar with this former Calvin Klein model and actor (appeared on TV's American Dreams), and current rising artist. Seattle Gay News just couldn't get enough of Madonna, so we've followed her from British Columbia to Las Vegas for another round of the "Sticky & Sweet Tour". Arts & Entertainment writer Jessica Price is in Vegas at this very moment, prepping for the big show tonight at the MGM Grand Garden Arena, the first of two sold out concerts in Sin City. She'll compare notes from the Vancouver show a week ago and give us her take on this newer performance in our November 14 issue. If heading to Las Vegas in the near future, consider the cool, newly redone Treasure Island (www.treasureisland.com) on the busy strip, home of Cirque du Soleil's Mystere and the Christian Audigier nightclub. For a review of Madonna's Western Canada performance, click here: http://sgn.org/sgnnews36_45/page21.cfm. And for a second scoop of Madge, this time in Vegas, grab a copy of next week's edition. What's Jason Mraz been up to? Find out in two days. The world-traveled artist speaks to Seattle Gay News on Friday, just before he performs back-to-back sold out concerts at the Paramount Theatre. This marks the third interview Mraz has extended to our publication, the very first gay weekly in the country to ever give him a write up. We'll follow the pop singer-songwriter from Seattle to Portland (November 9-10, and 12), and have a summary of all three performances the following week. 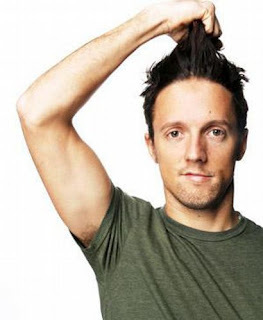 But a grab a copy of Seattle Gay News this week, November 7, for a one-on-one update on the man with the plan, Jason Mraz.